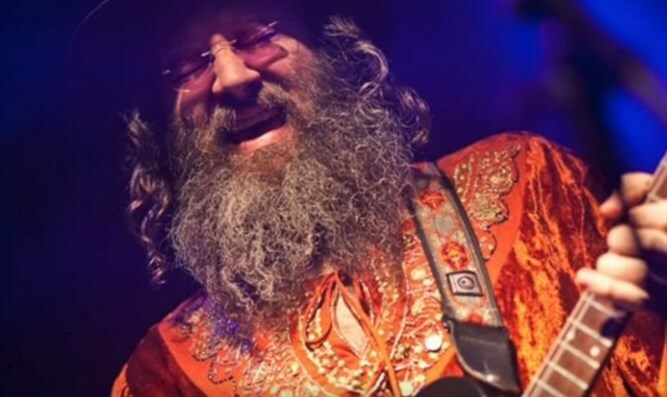 Lazer Lloyd is known as 'Israel King of Blues.' After becoming religious through the influence of the late iconic rabbi-composer Rabbi Shlomo Carlebach, he moved to Israel 20 years ago, and has been wowing audiences ever since. After taking part in a string of well known Jewish bands, such as 'Reva Lasheva' and 'Yood,' Lloyd struck out on his own solo career. Lloyd’s 2012 “My Own Blues” electric release was named best blues album by the Israeli Blues Society and sent to the Memphis International Blues Competition. Lloyd's career exploded in 2015, after his self titled album "Lazer Lloyd" ranked #10 overall for 2015 among the top 200 Blues Rock Albums according to RMR with both the #2 blues rock song for the year, "Burning Thunder", and Lazer's "Broken Dreams" at #6. Fans think of Lazer Lloyd as a doctor to souls that have beaten down by life, while critics generously praise his songwriting, musicianship and contagious passion on stage. One of Austin and Nashville's great producers, twice Grammy nominated Eric Paul (Willie Nelson, Townes Van Zandt, Emmylou Harris, Kris Kristofferson etc) was encouraged to check Lazer out by a friend and he called Lazer's manager Yo to ask her, "Who is this guy? He is amazing - I have to record him.."
The timing was perfect. Lloyd had just wrapped an album of new songs entitled "Freedom's Child" (Lots of Love Records, September 29, 2017 upcoming release) but the prolific songwriter already had a handful of new songs ready to send to Eric. The producer was thrilled with the material and Lazer is now recording an album with Eric Paul producing in Nashville.